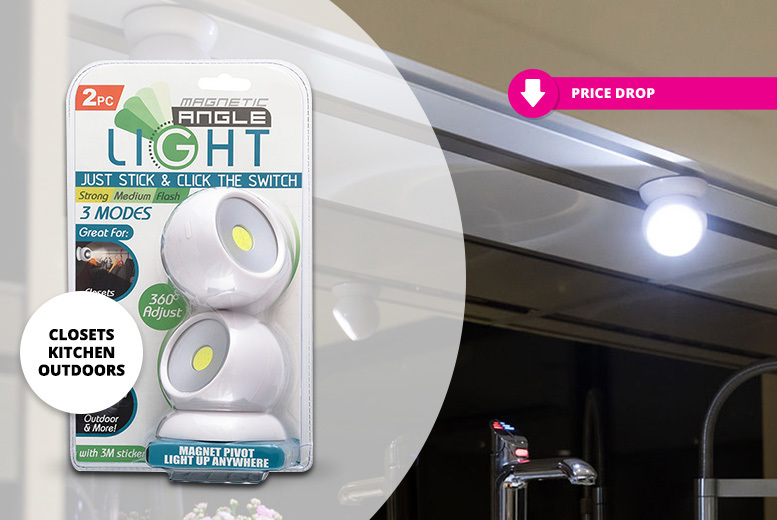 Get a magnetic angle light. 360° adjustable so you can get light where you need it! Magnet-based pivot to attach to any magnetic surface, or use the included 3M sticker! Three lighting modes: strong, medium, and flash. Can also be used as a hand-held light. Easy to mount, reposition, and remove!